Risk factors for pelvic insufficiency fractures and outcome after conservative therapy. 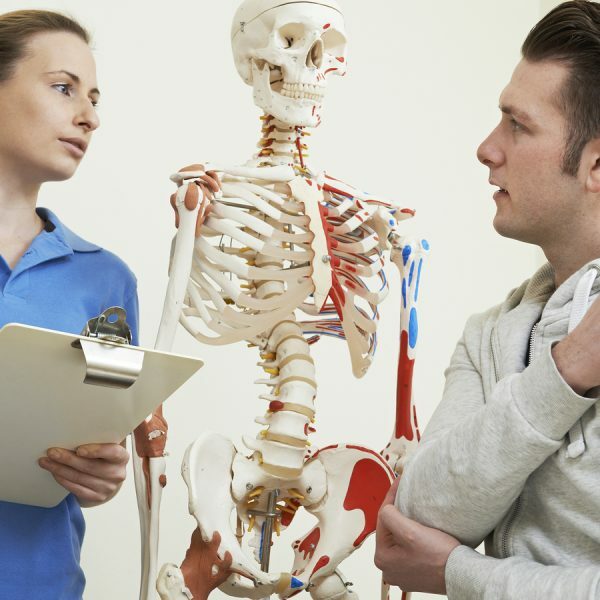 The prevalence of osteoporosis has continuously increased over the past decades and it is set to increase substantially as life expectancy rises steadily. Fragility or osteoporotic fractures of the pelvis often occur after low energy falls e.g. from standing, however, some patients present with assumed insufficiency fractures of the pelvis without a previous trauma. Osteoporotic fractures impose a tremendous economic burden and these fractures deserve attention as they lead to a decrease in mobility with an increase in dependency and are associated with a high rate of mortality. To date, little is known about potential risk factors for pelvic insufficiency fractures. Furthermore, information on clinical outcome is scarce. In view of this rather limited knowledge, we aimed to identify potential risk factors for pelvic insufficiency fractures and to collect information on their short- and long-term outcomes. Files of all consecutive patients admitted between January 2010 and December 2013 for a pelvic insufficiency fracture were enrolled in this study. Pelvic fractures that occurred on tumorous bone or after high-energy trauma were excluded. Fractures of the pelvis included all pelvic bones except the coccyx. For all patients, we recorded clinical and biological parameters available from their medical history. For comparison, the same biological and clinical parameters were evaluated in an age matched control group of 1083 patients aged over 70 who were admitted to our orthopaedic department to undergo knee or hip arthroplasty. The statistical analyses used or Fisher test for percentages comparison, 2-tailed t-tests and Mann Whitney for mean comparison. To determine what factors are predictors and what factors are confounders of pelvic insufficiency fractures, multivariate linear regression analysis using the fracture as a continuous variable was performed. Ninety-three patients with a pelvic insufficiency fracture were identified. Following the Rommens and Hofmann classification for fragility fractures of the pelvis (FFP), 51 were FFP Type Ia, 26 were FFP Type IIb lesions and 26 were FFP Type IIc. Osteoporosis was found to be significantly associated with pelvic insufficiency fractures (p=0.003), as was hypertension (p=0.036), diabetes (p=0.021), vitamin D deficiency (p=0.004), hypocalcaemia (p=0.002) and nicotine abuse (p=0.0012) after adjustment for possible confounders in the multivariate linear regression analysis. Comparing the autonomous state before and after pelvic fracture, a high loss of autonomy was observed. Patients needing daily assistance nearly doubled their number. Overall mortality was high (20%). In conclusion, this study showed multiple risk factors for pelvic insufficiency fractures. Some, like vitamin D deficiency, can benefit easy preventive measures. Outcome of conservative therapy is poor, with loss of social and physical independence and autonomy. The mortality rate is high. Efforts should be made in preventing pelvic insufficiency fractures. All patients should be treated for the severe osteoporosis being associated with these fracture type. Maier G, Kolbow K, Lazovic D, Horas K, Roth K, Seeger J et al. R. Archives of Gerontology and Geriatrics. 2016;67:80-85.